Today, I’ve partnered with Mom it Forward and BODYARMOR to chat with you about keeping our little athletes cool during the summer! As many of you know, my 12-year-old son has been playing youth football since he was six! He LOVES football, which in turn has made me love football. Yes, on occasion I still worry about him getting injured but I know his team has provided him with the proper safety gear. You know what my biggest worry is when it comes to him playing football? The heat! Here in the Sacramento Valley temps can easily reach 100+ degrees! Now combine that heat with all the padding he wears and the artificial turf he is usually playing on and you can easily see why I get scared of the heat. I seriously can NOT say how important it is to keep you child hydrated. I’ve seen so many children get pulled off the field due to heat related issues. The key to staying hydrated isn’t to just drink water when they are active on the field. They need to drink water all day long! Now, I’m not suggesting children drink an absurd amount of water, just enough to stay hydrated. Before you run out and buy your child sports drinks, keep in mind that not all drinks are made equally. There are some popular sports drinks in the market that I won’t let my son have due to the sugar content. With that said we love BodyArmor! BODYARMOR is a premium sports drink with potassium-packed electrolytes, coconut water and vitamins and has no artificial flavors or sweeteners. I knew my son would love this drink but I wasn’t sure how I’d feel about it. Every single flavor is absolutely delicious – seriously impressed! 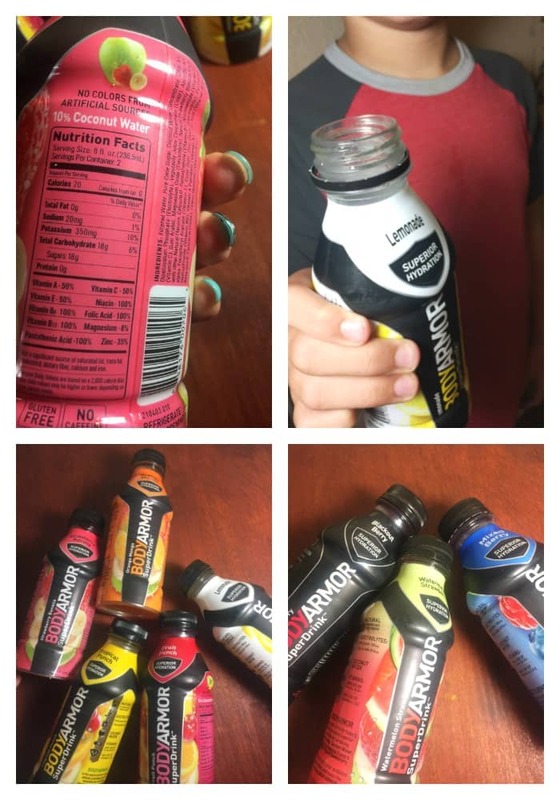 BODYARMOR provides superior hydration and comes in 9-great tasting flavors: fruit punch, orange mango, strawberry banana, tropical punch, blackout berry, mixed berry, grape, watermelon strawberry and lemonade. I have to say that the Watermelon Strawberry is my favorite! 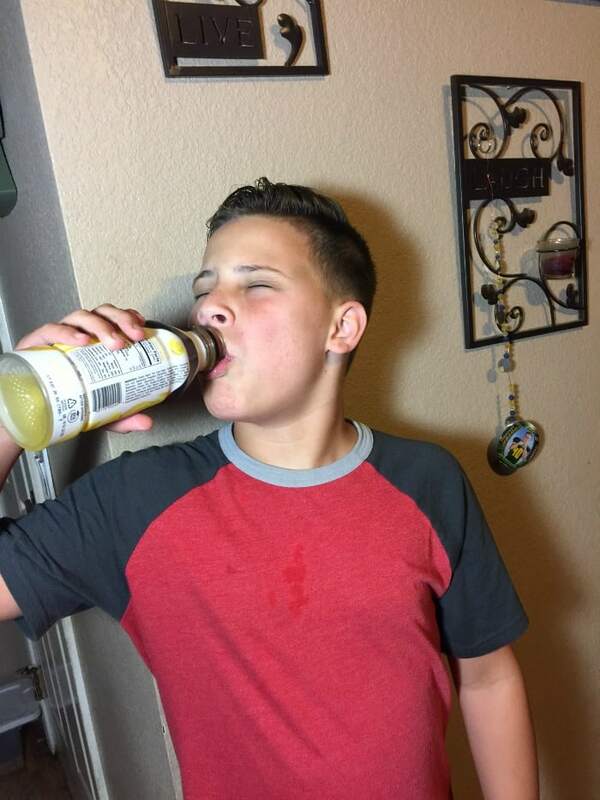 My son loves the lemonade! He drank it so quick, he spilt it on his shirt! I love it as an alternative to traditional sports drinks, because it contains no artificial flavors or sweeteners and has potassium-packed electrolytes, vitamins and coconut water. There is also natural flavors and sweeteners and no colors from artificial sources. Find out more about BODYARMOR by clicking here.. You can also grab your coupon here! Check out Safeway, Target, Lucky’s and Raley’s to pick up BODYARMOR! There are times when it’s just blazing hot outside and you need quick relief. I will often bring an ice chest full of wash rags. The boys love grabbing them and putting them on their neck. It provides quick relief from the heat. When my son is playing in the heat, I make sure to have healthy snacks on hand. I typically opt for things like apples, oranges, plums or watermelon. They keep him full and provide some hydration. 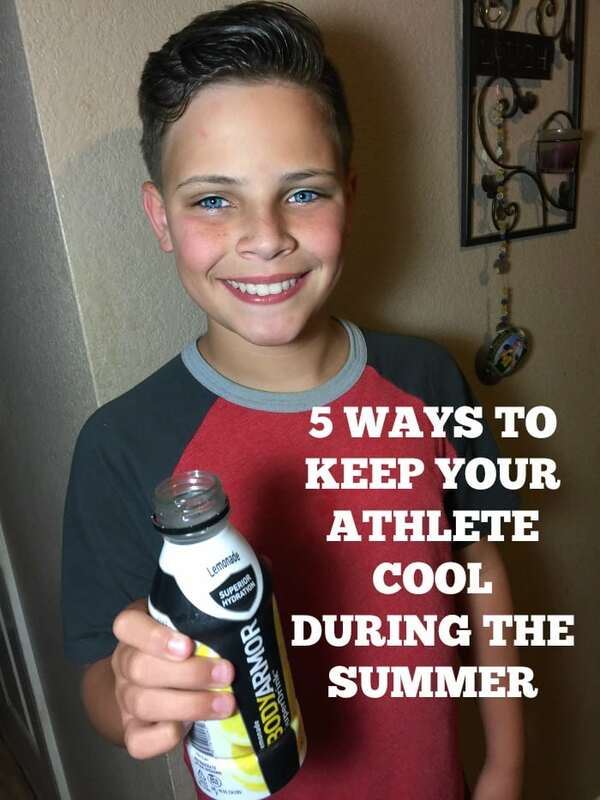 What are your tips for keeping your athlete cool during the summer?